There’s a lot to love about Holi, the sight of everyone drenched in rainbow-like colours, the happy gleaming faces splashed with gulal, the authentic vibe of going full swing with fun activities and of course, the quintessential aroma of gujiyas and malpuas. 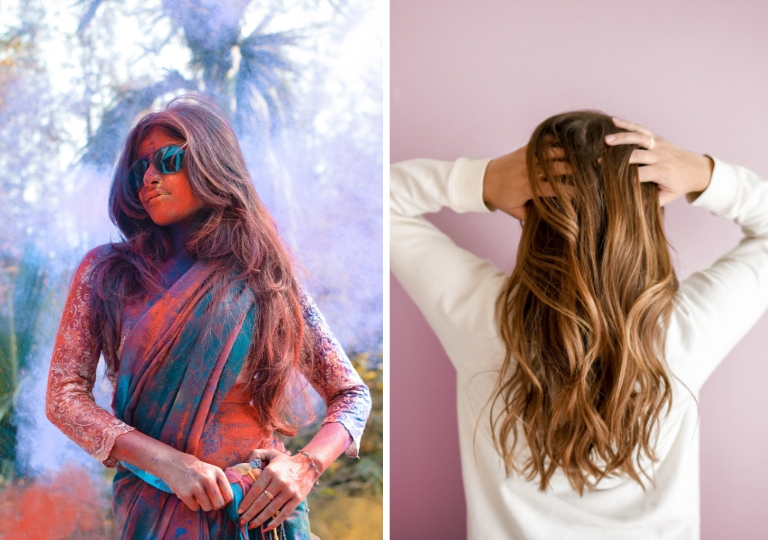 But if you are in love with the most-awaited after-play Holi party, just like us, our style guide will help you look your uber glamorous self, whether you head out for that extravagant Holi party in town or decide for an elegant home party with family and friends. Let’s start with it. Choose an effortless outfit | It isn’t about loud colours and prints this time, but about rich embroidery and a lot of glitter! 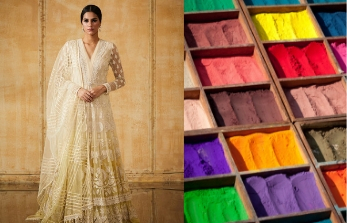 Once you’re done playing colours, it’s time to let the classic festive vibe seep in, like we said, it’s all about gorgeous and heavy detailing, and you could never go wrong with a cascading, full-length anarkali. This one by Tarun Tahiliani’s Lucknow inspired anarkali collection is a clear nod if you like pearls and crystal embellishments. Revive the glow | The buoyancy of playing colours often brings along the caveat of troublesome skin, and the thought of attending a Holi party in a few hours just doubles the trouble. Fear not! We have just the quick fix solution for you! First, go for the Glamglow Glitter Mask Gravitymud Firming Treatment to revitalize your glow and then apply the Glamglow Instamud 60-second Pore-refining Treatment to get a supple skin, rinse off and voila! Luscious hair in minutes | Go for the Loreal Professional Series Expert Prokeratin Liss Unlimited range of products for hair that looks like you never were in layers of colour (wink)! Use the shampoo and hair mask from the same range, followed by the Kevin Murphy Staying Alive Leave-in Cream before styling for hair that stays in place throughout the party! Let your accessories steal the show | Swear by the skipping game, if you’re opting for heavily worked pieces, choose either earrings or choker. We recommend the gold finish temple earrings by Anita Dongre, they’ll put together a subtle yet dramatic look for you. 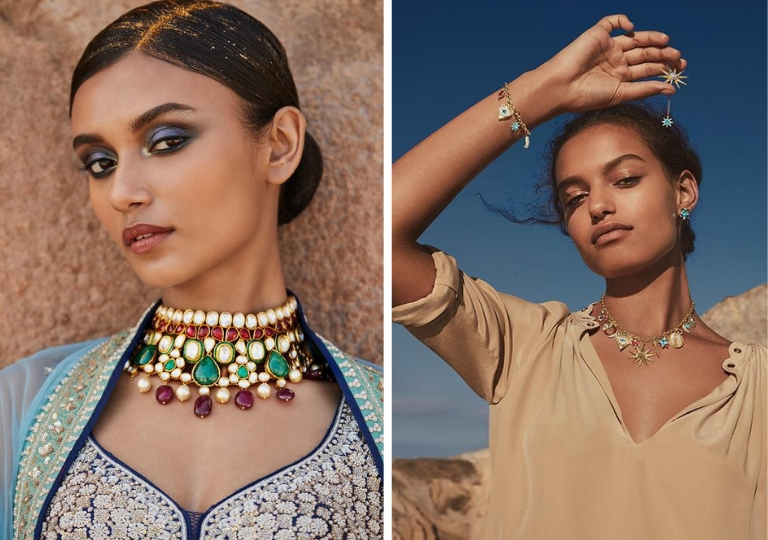 And for chic yet modern outfits, look no further than Swarovski’s latest summer-spring collection, the versatile designs and astronomical symbols will turn more than a few heads, we are sure. Lose no time ladies and decide your look here and now. Sequins or Tulle. What will you sport this New Year’s Eve?